The Family Star (Relationships) was one of two new Stars published by Triangle in September 2018. 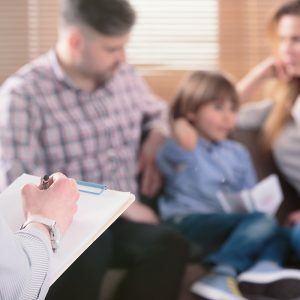 It is designed for services working with families where inter-parental conflict is a major focus, with the aim of protecting their children from the harmful effects and enabling them to thrive. We recently interviewed Clare Burrell, Head of Strategic Commissioning and Policy for Children and Families at Essex County Council, who was one of the key collaborators spearheading the development, to find out why they invested in the development of this new Outcomes Star and to hear her thoughts on Triangle’s collaborative process. Clare, could you tell us a bit about your role and how you first came across the Outcomes Stars? I lead on Early Intervention where, like others, we take a holistic approach to our work. Five years ago, we set up our Family Innovation Fund which is delivered by voluntary and community providers across Essex. It is important for commissioners to understand and know that the right outcomes are being delivered and to evaluate the impact of the work. It was then we took the decision to ensure that all the providers of these services would use the same outcomes tools, so that we could measure apples with apples rather than apples with pears! The aim was that doing this would strengthen the case for what works and help us develop the economic case for early intervention. Our intendent evaluators, Traverse, reviewed the outcomes tools available and they recommended we adopt the Outcomes Stars. As a result we prescribed the Family Stars to our providers and over time, they have come to realise the potential and usefulness of them as tools. How did your focus around inter-parental conflict develop? The primary outcome of our work was family stability and through our work with whole families, it became increasingly evident within the early intervention space that if we were going to improve outcomes for children, we needed to focus more sharply on parental relationships. At the same time, we became one of 11 Local Authorities working with the Department for Work & Pensions, to develop the evidence for what works to reduce inter-parental conflict. It was then that we partnered with colleagues at Hertfordshire County Council and with DWP, to commission an Outcomes Star that would support our work in this area. We needed something different to any of the Stars which already existed, to take in the specific intricacies of relationships. Did you find anything challenging about the collaborative process to develop a Star? Inter-parental conflict is a relatively underdeveloped area of practice, so there was quite a bit of interesting discussion and some challenges for everyone to agree on the focus and content for the Star. A couple of providers decided not to continue with the process and pilot because the Star didn’t fit with their way of working with families – they didn’t have enough time with parents in conflict or were solely focused on getting an agreement for contact with children rather than working holistically, for example. It was helpful to have a provider with vast experience and knowledge of domestic abuse – they made an invaluable contribution to ensure that the Star didn’t inappropriately stray into that space and that it was clear where practitioners using the Star would draw the line. What would your top tips be for anyone considering collaborating with Triangle to develop a Star? I would say there are two main areas. The first is getting the right people around the table. It can be hard at times, but it is important that the right voices and heads are in the room for the key Star development sessions. I focused on the ‘unusual suspects’ – people who came from all different perspectives but who would challenge and mix up our thinking. It was also important to get people who were committed to the whole of the process, as it takes a considerable amount of time – over a year in our case. The second is to plan your pilot upfront and think about how you will get buy-in from practitioners. It’s more than just being in the sessions, it’s about committing to piloting the tool and feeding back throughout the process. We piloted with our commissioned providers, and some of our in-house services. This particular Star brought a challenge because it was used only as and when an inter-parental conflict focused case came up, so that limited the amount of data and feedback and made it more difficult to evaluate in a meaningful way, beyond case studies. That said, practitioners love the new Star and are using it in their work, including in unexpected circumstances – as an example one practitioner has recently used the Star to support a teenager and parent in conflict. And lastly Clare, what are your hopes for the Family Star (Relationships)? My plan is that this Star is embedded in practice. Essex is a big place, but we are doing a lot to make sure that our practitioners know about this Star and that it is part of their toolkit to use with families and that they can draw on it when inter-parental conflict is the main issue for a family they support. Many thanks to Clare for her time for this interview. 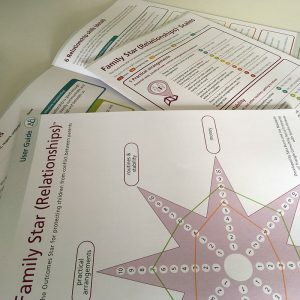 The Family Star (Relationships) is designed for practitioners working to identify and support the resolution of inter-parental conflict so that outcomes for children and young people are improved. It was developed by Triangle in 2017 – 2018 in collaboration with Essex County Council and Hertfordshire County Council. 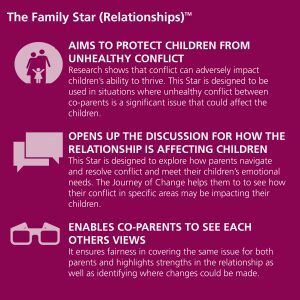 Please see the Family Stars page for more information about the new variant for supporting parents to manage conflict: the Family Star (Relationships). 94% of practitioners piloting the Star indicated they found the Family Star (Relationships) described the situation, strengths and needs of the service users they worked with either well (either fairly or very well). 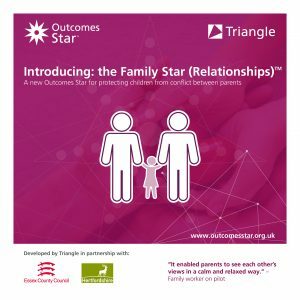 80% of parents who completed feedback about the Family Star (Relationships) said it helped them understand what they needed in the way of support.¹ For more information about how Stars are developed, and Triangle’s collaborative process please see our Star Development page. For an example of Star data in action, please see the recently published evaluation report from OPM Group for Essex County Council’s Early Help Programme, the Family Innovation Fund (FIF). 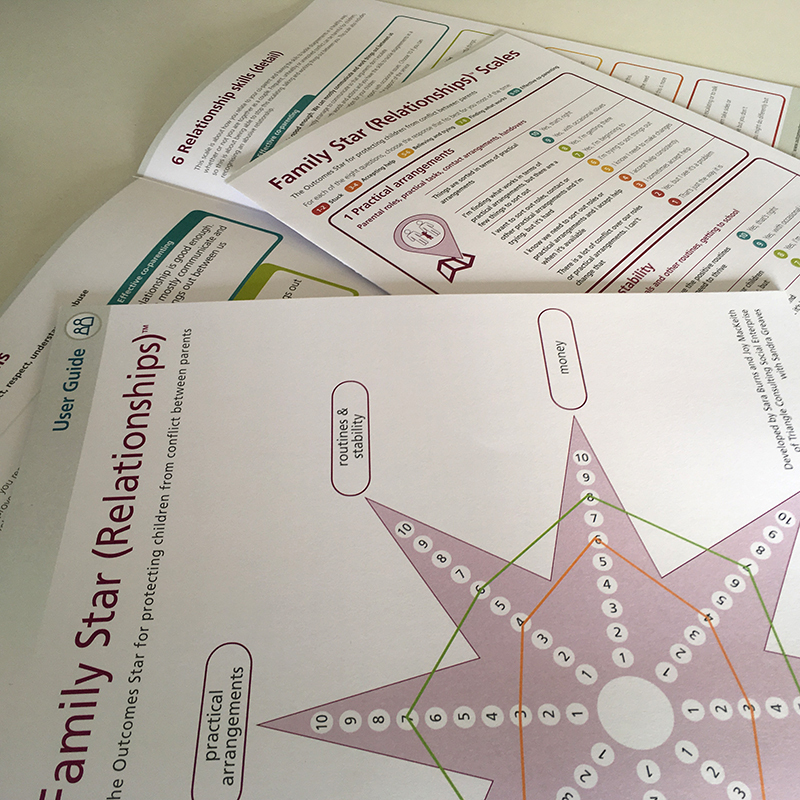 FIF used the Family Star Plus and My Star as primary evaluation tools, with practitioners completing Stars in collaboration with service users, as an integrated part of the Early Help support being provided. Star data was used to demonstrate change, as part of an economic evaluation, and to make the case for early help provision. Contact Triangle at info@triangleconsulting.co.uk or +44(0) 20 7272 8765 for more information. 44 initial Star readings were completed during the 6 months pilot period, in frontline services in Essex and Hertfordshire.